(1920) John Barrymore, Martha Mansfield, Brandon Hurst. 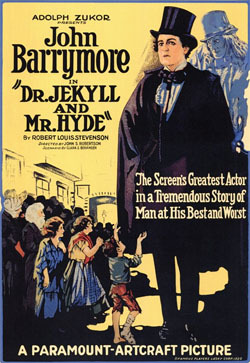 Classic Stevenson story with the great Barrymore in the dual role. Also included on this tape is the 10 minute, 1912 James Cruze version of the Stevenson classic. Music score. From 16mm.